The Xbox app comes pre-pinned to the Start menu in Windows 10. 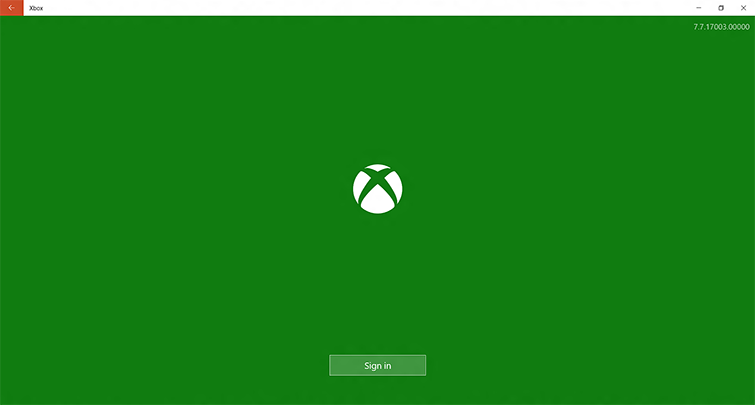 To start the sign-in process, select the Xbox app for the first time. The app will begin to open and you'll see a smaller box open over the app with several avatars on it. 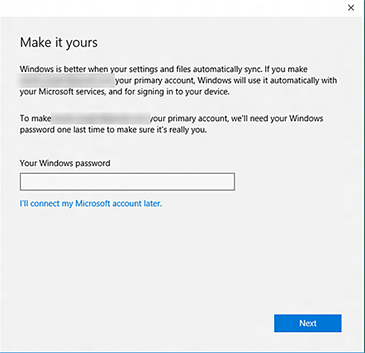 If you've signed in to Windows 10 using a Microsoft account, your experience will slightly vary. The Xbox app will take the Microsoft account credentials you used to sign in to Windows 10 and check to see if there's a gamertag associated to this account. If there's an Xbox Live account associated with your Microsoft account, you'll see a Welcome back screen with your name and gamerpic on it. 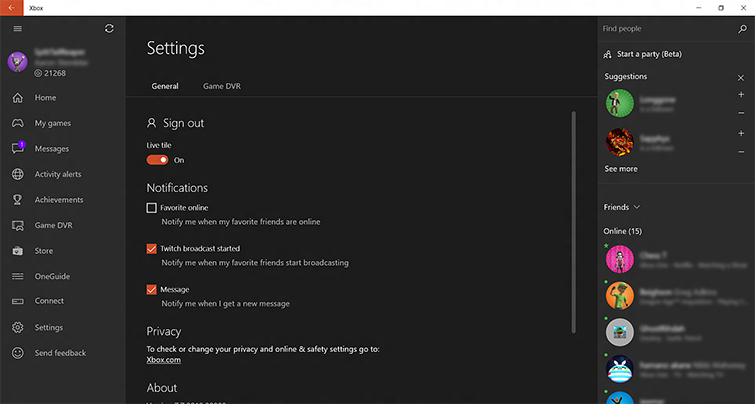 The Xbox app will then show you a Here's how you look on Xbox Live screen. If this is you and the account you use for gaming on Xbox, select Let's play. This will sign you in and the app will continue to open to your personalized Xbox experience. Note If you forgot the email address that you use to sign in, use the Lost Account Solution. Complete the rest of the sign-in process as you validate your account. 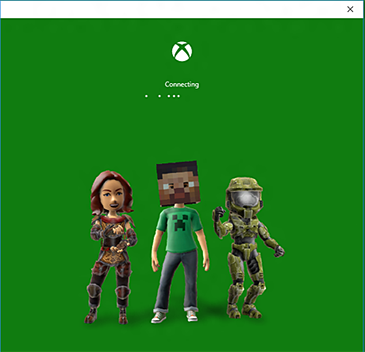 Once you're done, you'll return to the Welcome back screen with your name and gamerpic on it. The Xbox app will then show you the Here's how you look on Xbox Live screen, where you can select Let's play to enter the app. 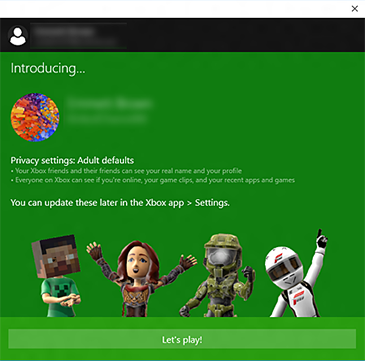 If you don't have an Xbox Live account associated with the Microsoft account you used to sign in to Windows 10, the system will auto-generate a new gamertag for you. Upon acceptance, an Xbox profile, including gamertag, will be automatically assigned to your email. You can change your gamertag for free within the first 30 days. After that, there will be a small fee. For information on how to change your gamertag, see How to change your Xbox Live gamertag. 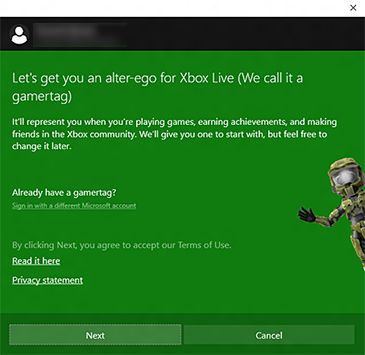 Note If you get to the Let's get you an alter-ego for Xbox Live (We call it a gamertag) screen and you realize you've signed in with a Microsoft account that doesn't have an Xbox Live account, you can select Sign in with a different account. This will bring up the account picker screen, and you can add the Microsoft account you use to sign in to Xbox Live. Note For the best experience, use only one Microsoft account for all Microsoft products and services. 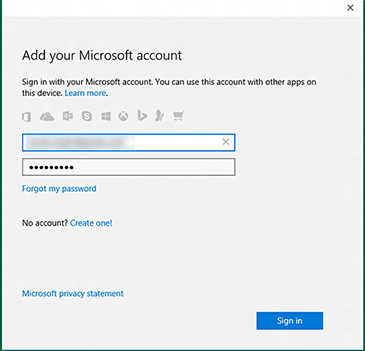 You can sign in and out of all Microsoft services, and you can change the default account, but you can't merge two accounts, so be careful when creating new accounts. The password associated with your Microsoft account. If you've forgotten the password, there's a button to retrieve it right below the text box. Because no Xbox Live account was associated with this Microsoft account, the system will auto-generate a new gamertag for you. If you don't like the gamertag we've created, don't worry—you get one free gamertag change. See How to change your Xbox Live gamertag for help. Select Let's play. This will sign you in, and the app will continue to open to your personalized Xbox experience. 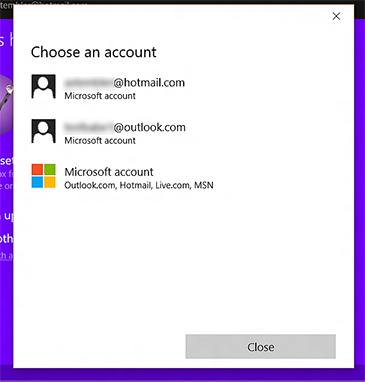 On the Make it yours screen, you'll have the option to make this Microsoft account your primary account. Select I'll connect my Microsoft account later so that this Microsoft account doesn't become your primary account. Select Let's play. This will sign you in, and the app will open to your personalized Xbox experience. 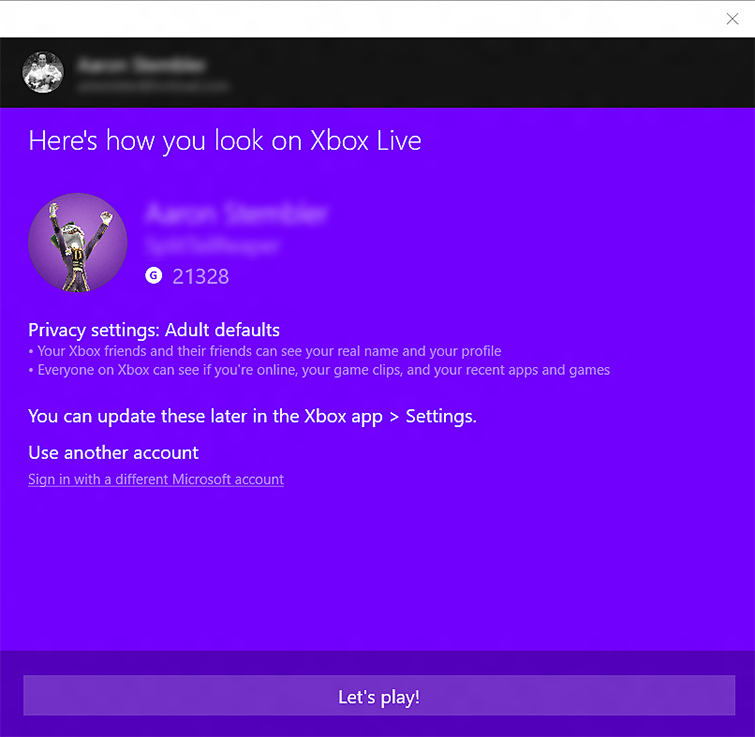 To sign back in, select Sign in, and on the Here's how you look on Xbox Live screen, select Sign in with a different Microsoft account. Make sure you're connected to a network and that you can access the Internet. To test your connection, go to Bing.com in your PC's browser. See if there's an Xbox Live service outage at Xbox Live Status. Check your PC's clock. The clock must match the Xbox Live servers for sign-in to be completed. Your date and time settings for Set time automatically must be set to On. United States only: Why am I being asked to pay 50 cents for creating a child account? 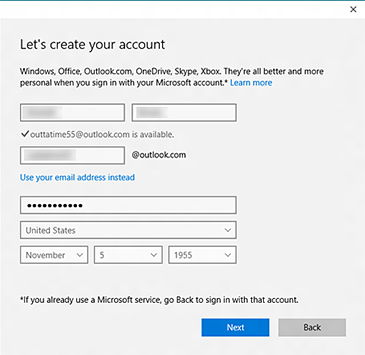 This is a Microsoft account policy for the creation of all child accounts in the United States. The policy requires an adult account to be set as their parent and for the parent to make a 50-cent charge on a verified credit card to prove the account is an adult account. This policy is in compliance with Children's Online Privacy Protection Act (COPPA). For more information, see Microsoft fee for creating a child account FAQ. Yes. From inside the game, choose Switch account (on the home screen or wherever the profile is located). If the game doesn't have a Switch account button, in the Xbox app, select Settings, and then select Sign out. Then sign back in as the account you want to use and re-launch the game.